Sonoma Cider proudly launched its new Limited Run cider series, a collection of small batch, off-dry ciders showcasing unique flavor infusions earlier this year. Father-son duo and founders, David and Robert Cordtz, launched the series with The Washboard, a cider infused with organic vanilla and real sarsaparilla root, in April 2015. All together approximately 2,300 cases of The Washboard were available on draft and in 12-ounce four-bottle packs for $9.99. If you can still find it, The Washboard was made available in the California, Washington DC, Delaware, Florida, Illinois, Maryland, Massachusetts, Minnesota, Ohio, North Carolina, Washington and Wisconsin markets. However, if you missed The Washboard, not to worry! The latest Limited Run flavor was just debuted in time for summer – The Crowbar, a habanero lime cider. Plus, Dry Zider, an apple cider aged in zinfandel wine barrels, was also released to launch Sonoma’s Reserve Series. The Crowbar, Robert Cordtz’s brain-child, launched in late May and is the company’s first cider to be available in a 12-ounce can. Sonoma Cider combined dry cider with the heat of organic habanero peppers and the tartness of fresh lime, to create a refreshing trio of flavors that pairs perfectly with summer staples like Mexican food and BBQ. The Crowbar is also available in 5.2 gallon kegs and has an ABV of 6%. Acidity is approximately 3.84 pH and residual sugar is 1.1 Brix. Sonoma Cider’s Dry Zider balances dry, organic cider with rich, robust Sonoma County zinfandel, creating notes of wild berry and bramble with bright tart apple. The cider was aged for several months in American oak barrels that were previously used to age Sonoma County zinfandel wine, imparting a bright rose color, soft zinfandel aroma, and round, fruity notes on the palate. The ABV is 6.9% on this Reserve Series cider and it is available now in 22-ounce bottles and 5.2 gallon kegs. Dry Zider is the company’s first in the Reserve Series. Already, the Limited Run series of ciders have become a hit. 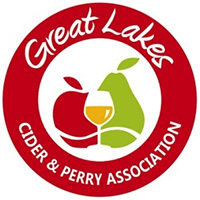 At the Great Lakes International Cider and Perry Competition, the oldest and biggest cider competition in North America, Dry Zider won a silver medal and The Washboard won a bronze. The Limited Run series of ciders will only help to grow Sonoma Cider’s portfolio of offerings. In 2014, the company produced approximately 65,000 cases of cider and expects to more than double its production this year. To find out more information on Sonoma Cider and their ciders, please visit SonomaCider.com. 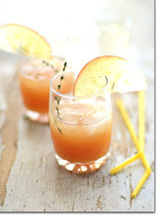 Photos courtesy of Sonoma Cider. Clad in a red cardboard encasing with a white apple silhouette, Pómme De Coeur is a very eye catching ice cider that demands attention. Inside the cardboard cylinder sits a slender 375ml bottle, a bottle size which is typical of many ice ciders. Pómme De Coeur is brewed by Cidrerie Arista, a subsidiary of Industries Lassonde Inc. which is known for their fine fruit juices. Lassonde owns 20 hectares of orchards in the Rougemont area of Canada’s Quebec province. The cidery opened in 2011 with the capacity to produce 250,000 liters of cider. This is a fitting location as ice cider was developed in Quebec in the 1990’s. Quebec provided the perfect location for ice cider’s birth due to its long and cold winters. Today, Cidrerie Arista produces almost 650,000 liters of Pómme De Coeur cider. This cider is a dark golden color. It has a pronounced sweet smell with apple and a bit of spice on the nose slightly reminiscent of apple pie with notes of apricot and almonds. It is also possible to find hints of honey and a bit of favorable smokiness in this cider. It is very smooth and has thick body. Leaning more towards the stronger side compared with other every day ciders, this cider weighs in at 6.9% ABV. However, this cider is a bit more drinkable since most ice ciders exceed over 8% ABV. 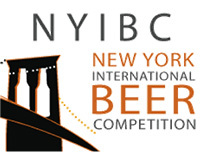 This ice cider is the winner of the 2014 Platinum Medal from the Beverage Testing Institute. Pómme De Coeur is sourced from a blend of McIntosh, Cortland, and Spartan apples locally grown and collected on the first autumn chill from Lassonde’s orchards. The ice cider is created by waiting for the apples to freeze before picking them. This allows the sugars in the fruit to become concentrated. By concentrating the sugars in the apples before fermentation, it creates a cider with higher alcohol content and a sweeter flavor profile. Due to this sweet yet sophisticated flavor profile, most ice ciders are considered dessert ciders. Pómme De Coeur is best served chilled in a small port wine glass rationed to only two to three ounces per serving. It pairs nicely with many cheeses and desserts. Tentation Crème Brulée: 6.9% ABV - This is a golden sweet cider with notes of caramel. The sweet dessert-like notes balance the acidity from the fruit to create a great dessert wine. Cuvée Prestige: 6.9% ABV - This is a golden cuvée cider with significant clean apple notes created by the fresh Gala apples used. This is a smooth, well balanced cider. It comes in special packaging which opens up to become an ice box used to chill the cider. Pómme De Coeur is available for retail at around $9.99 per 375ml bottle. More information can be found on their website VinsArista.com. Photos courtesy of Cidrerie Arista. Woodchuck Hard Cider proudly announced the release of Lazy Hazy Lemon Crazy this month, the latest cider to join the ‘Out on a Limb’ lineup. ‘Out on a Limb’ is a rotating six-pack that features some of Woodchuck’s most creative cider varieties. Lazy Hazy Lemon crazy is the fifth cider to be featured in the unique ‘Out on a Limb’ series and will be available while supplies last. Lazy Hazy Lemon Crazy is Woodchuck’s own twist on the traditional shandy, created using a mix of McIntosh, Empire and Cortland apples infused with fresh lemon juice and lemongrass, which delivers a mix of sweet and tart in every sip. The light body, combined with hints of lemongrass and citrus aroma, make this semi-dry cider a perfectly refreshing summer beverage. The ‘Out on a Limb’ series features a new cider rotation every 30 days with changing labels and liquids and a single consistent 6-pack carrier. Lazy Hazy Lemon Crazy is 4.2% ABV and has a suggested six-pack retail price of $10.99. Lazy Hazy Lemon Crazy is now available nationwide along with Woodchuck Hard Cider’s summer seasonal, Summer Time, which first launched in 2010. Summer Time is crafted from a variety of red apples including McIntosh, Cortland and Red Delicious that are blended with a hint of blueberry juice and then aged in premium French and American Oak Chips. This 5% ABV cider has a berry aroma, light body with light carbonation, and balanced sweet apple and tart blueberry taste. Also available on shelves this month, is Woodchuck’s Private Reserve cider Pink that first launched in 2013 to honor the efforts of the organization, Vermont Cancer Survivorship NOW, which helps to improve cancer patients lives in Vermont through free wellness programs to empower cancer survivors after diagnosis and more. Pink has a 5.5% ABV and gets its pink color through the use of grape skin extract during the cider making process. You can also try these ciders and more at Woodchuck’s Ciderstock on August 22, 2015 from 2pm-10pm. 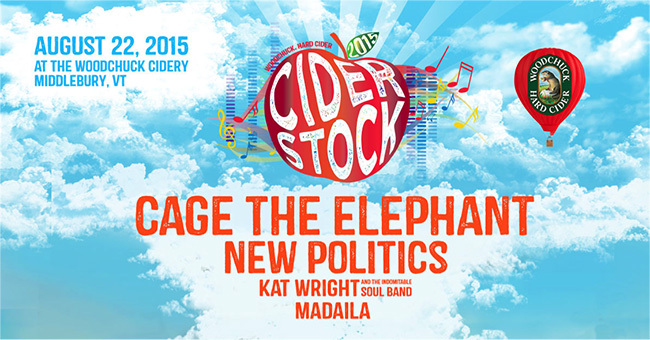 Ciderstock is a daylong event featuring live music, great food trucks and, of course, Woodchuck cider. Confirmed musical acts include headliner Cage the Elephant with special guests New Politics. For more information about Woodchuck Hard Cider and Ciderstock 2015, visit Woodchuck.com. 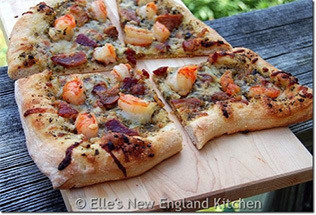 Photos courtesy of Vermont Hard Cider Company. Overall, the top commercial medalists included 2 Towns Ciderhouse (21 medals), Uncle John’s Cider Mill (14 medals), Sea Cider Farm & Ciderhouse (10 medals) and Starcut Ciders (10 medals). 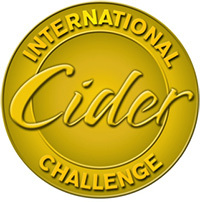 However, of the 24 gold medals awarded, Wandering Aengus Ciderworks received three gold medals – the most of any participating cider producer in this year’s competition. You can view the entire list of medalist by clicking here. 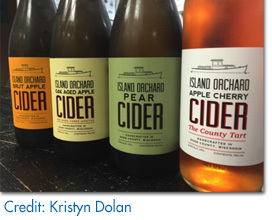 Located on a 40 acre farm on Washington Island in Door County, Wisconsin, Island Orchard opened its’ doors in 2006 with the sole purpose of creating and introducing to American consumers the Normandy-style ciders foun d in France. After years of planting, growing, and blending, Bob and Yannique Purman, sole proprietors of Island Orchard, first opened their tasting room to the public in 2011. With Bob taking lead as head cidermaker, a passion which he grew as the apples did, Island Orchard has aimed to bring the tastes and feeling of Normandy-style ciders to the Wisconsin area. While visiting Yannique’s father in Brittany, France, and enjoying bottles of Normandy-style brut apple cider during their meals of galletes and crepes from the corner Creperie, Bob and Yannique realized that neither this pairing nor this style were yet prevalent within the United States. As interest in cider and cidermaking piqued, Bob and Yannique continued their travels around France’s Normandy region, expanding their knowledge and their excitement at bringing this not-too-sweet cider into fruition back in the United States. Nine years, yearly production expansion, four flagship ciders, and over 30 varieties of apples on their orchard later, and Island Orchard Hard Cider has successfully brought the appreciation of the Normandy style cider to the American consumer, currently producing over 18,000 gallons per year. For those not yet familiar with the Normandy style, these ciders are less sweet than their British or American counterparts, and are not as heavily carbonated as ciders in the United States. 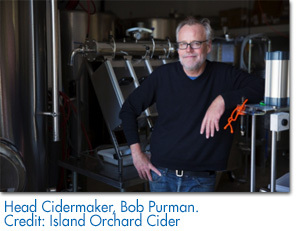 By utilizing different French techniques in the making of their ciders, Island Orchard produces a beverage which the Purman duo is proud to say is great to pair or cook with, especially for spicy foods and poultries. 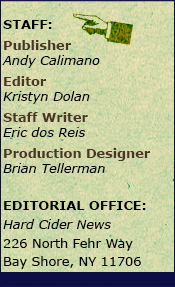 As every cider they entered in the 2015 GLINTCAP competition placed silver or above, including their reserves, Bob Purman happily jokes that “there is no bronze in this building.” Descriptions of the four year-round ciders offered in their tasting room are outlined below. Brut Apple Cider – This 6.9% ABV cider is an earthy blend of apples with an apple and champagne-like aroma. With a pale yellow color and a medium body, this cider is refreshingly crisp and tart with very minimal signs of sweetness and a pleasantly dry astringency. This is not your traditional cider, but embodies the Normandy style cider that Island Orchard strives for and could easily be a champagne substitute at your next toast. Oak Aged Apple Cider – This full bodied cider gives an added kick and layer from the oak aging process. With over three months of aging in oak barrels, this method elicits a mellow rich body while maintaining the drier side that the Normandy style produces. Back-end vanilla notes can also be found in the taste. With a light carbonation and mild sweetness, this 6.9% ABV cider is pleasantly balanced and tart. Pear Cider – Achieving a complex profile balancing both Bartlett and Bosc pears,this cider is dry while still maintaining a definitive natural pear flavor. Sweeter in taste than the other flagship Island Orchard ciders, with its pale yellow color, crisp mouthfeel, and light carbonation, at 6.5% ABV, this is the perfect pairing for a warm summer day or cool fall evening. Apple Cherry Cider – With a nickname like “the County Tart,” a sour note is expected from this translucent red cider. Made with an apple base and finishing with cherry, this cider is crisp, quite tart, mildly astringent, and subtly sweet. The beautiful rose color shines through before it opens thanks to the clear flip-top bottle design. With an ABV of 6.5%, this cider elicits the feeling of drinking a glass of rosé, perfect for any time of the year! If you’re lucky enough to be in the Wisconsin area, the Island Orchard tasting room is open daily from 12-6pm during the summer, with bottles of their ciders being available in select stores and restaurants through multiple distributors in Southeastern Wisconsin. 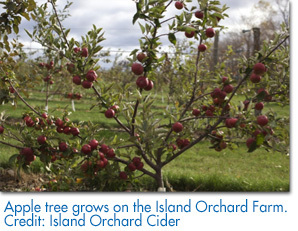 For more information on Island Orchard Hard Ciders, please visit their website at IslandOrchardCider.com. 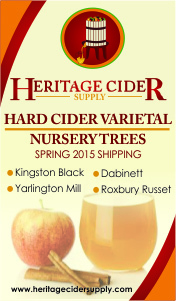 With cider’s increasing popularity, companies in every corner of the industry are starting to take notice. Late last year, Diagio released its Crown Royal Regal Apple Canadian Whiskey, now William Grant & Sons is experimenting in the cider driven market with its limited-release of Tullamore Dew Cider Cask Irish Whiskey. Tullamore Dew is Ireland’s second largest whiskey brand with over 185 years in the whiskey business. This is the world’s first cider cask aged Irish whiskey. Traditionally, whiskies are aged in oak barrels for varying lengths of time allowing them to mature and infuse the great flavors from the barrel, but what happens to all of the oak barrels which are used to age some ciders? 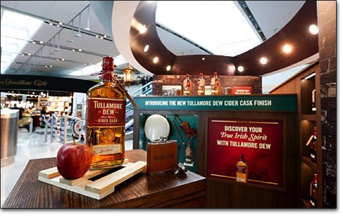 Tullamore Dew Cider Cask Irish Whiskey starts by aging pressed apples in oak casks allowing the wood to soak in the sweet flavors and aromas of the cider. After the cider has matured, it is removed from the barrels, and Tullamore Dew is introduced into the barrel. The barrels are left for three months in order to allow the whiskey to pull the tart apple notes from the barrel. This warm, amber colored Irish whiskey starts with traditionally oaky characters but adds fresh green apple in the nose. The whiskey is smooth and mellow with soft notes of oak, slight sweetness, and fresh crisp apple. The whiskey is bottled at 40% ABV and is a triple blend Irish whiskey which is triple distilled. All of the apple notes are in no way overly sweet or overpowering, everything is very subtle and well done, allowing the taste of the whiskey to shine through. Tullamore Dew’s experimenting paid off as they now have a unique and delicious product which piques the interest of both cider drinkers and whiskey lovers. If this whiskey sounds too good to be true, it is because it has one catch, you can only find this whiskey at the Tullamore Dew Visitors Centre in County Offaly, Ireland and in the Dublin airport. Due to Ireland’s seasonal apple harvest, this whiskey will be a limited release item only made between September and November, so start booking your flight today. For more information, please visit TullamoreDew.com. Sláinte! Photos courtesy of Tullamore Dew.